In 1997, at the age of 19, I became the first teenager in 20 years to become the New Jersey State Chess Champion. 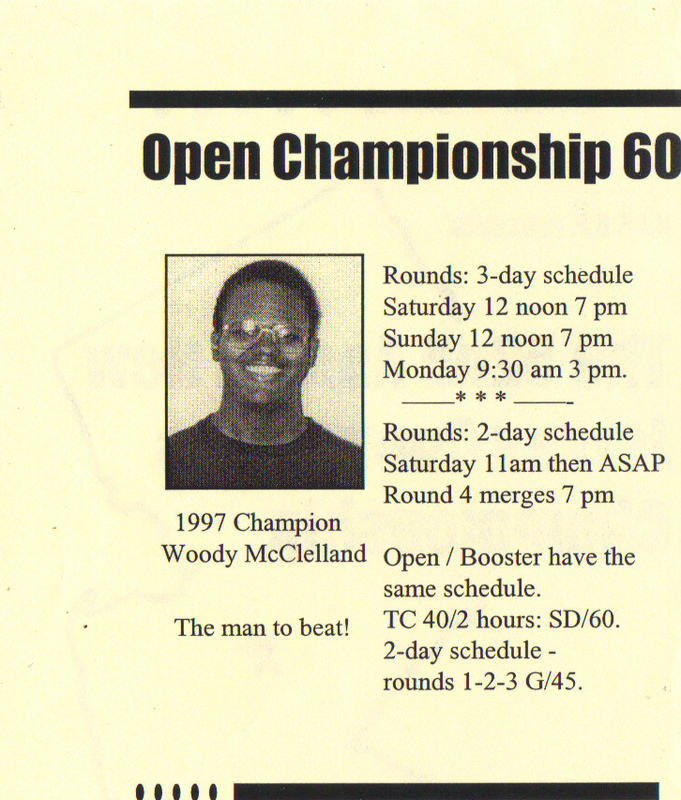 These are from the official flier prior to the start of the 1998 championship one year later. This is an advertisement for a simultaneous exhibition I was invited to give at Boston University in 1999; by the grace of God, I was able to win all of my games.